How to Clean your Carpet with Baking Soda? You may have heard the claim that a cheap tub of baking soda can replace any cleaning product and detergent you have in your home. Well, the fact is that soda bicarbonate is really an efficient cleaning product with multiple uses. It has neutralising features which can help remove nasty odours from your fridge or from your carpet. Place a box with holes on the lid filled with baking soda in your fridge, or sprinkle your smelly rug with baking soda and let it sit overnight and then vacuum off the soda with a vacuum cleaner, and you will have a fresh smelling rug and room. 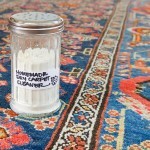 This treatment will not only deodorise your rug safely but will leave it looking fresher and cleaner than ever. Use baking soda mixed with a little water into a paste as a stain remover. First, make sure you blot up all liquid from the spill or remove the hard residue from the spot as much as possible. Then apply the soda and water paste, or a soda and white vinegar paste on the spot and let it sit for half an hour or more until it dries up. After that, vacuum the spot to remove all the baking soda and the stain should be gone. ay cleaning chores at home, not only because it is a more financially sound option, but also because there are no fumes or dangerous toxins in them, which can cause skin and eye irritations, breathing problems, allergies and some more serious illnesses in humans and pets at home. This is why, it is highly recommended to first resort to the safe and natural ingredients when cleaning a nasty spill or stain on your carpet, upholstery or other surfaces before moving towards using chemical-based cleaning products. At least, soda, vinegar and the proper proportions of 3% hydrogen peroxide will not damage your carpet or your health, so it is worth giving it a try before applying harsher cleaning detergents. Baking soda can also successfully and safely be used to unclog drains, polish silver items, clean pots, ovens, refrigerators, sinks and all surfaces at home. You can also refresh your mattresses by sprinkling them with baking soda and letting it sit for some hours before vacuuming it off. Use some baking soda when washing your linen in a washing machine to make it even whiter. If your washing machine starts emitting a foul odour, clean it by adding a cup of baking soda instead of laundry detergent and pouring some white vinegar in the drum itself and turning the washing machine into a high-temperature washing setting. This will clean it up from any residue and will restore the good smell of your washed clothes once again. So, next time you go shopping for cleaning detergents and products, make sure you stock up with some cheap baking soda and some white vinegar, and this is practically all you might be needing for a while. For deep cleaning, of course, contact your carpet and upholstery cleaning company to do their job efficiently and safely. 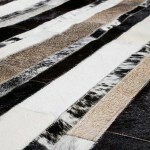 How to Clean Your Carpet with Home Products?